Space Station. The Nauka module for the International Space Station under construction. 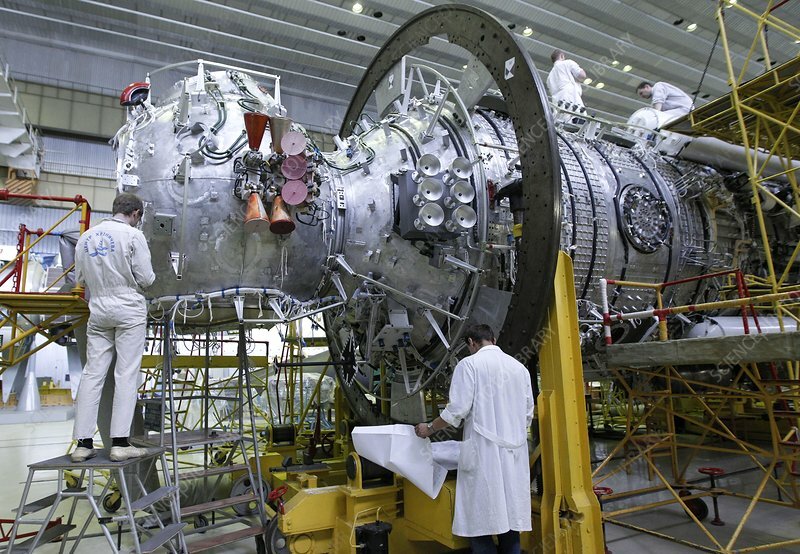 Nauka (Russian = 'science') is a multipurpose science experiment module due for launch in 2014. As well as experiments, it will carry cargo to the ISS and will subsequently also serve as a crew rest area. Photographed at the Khrunichev Space Centre, Moscow, Russia, in 2011.